The Big Wobble: A cluster of around 100 quakes on or around Puerto Rico has the U.S. government worried as they believe the area is due for a major event. A cluster of around 100 quakes on or around Puerto Rico has the U.S. government worried as they believe the area is due for a major event. Puerto Rican Seismic Society has been trying to warn their people through the media. The United States government has been studying the problem for years. It is increasing its seismic investigations and developing tsunami warning systems. On 11 October 1918, the western coast of the island was hit by a major earthquake which caused a tsunami. 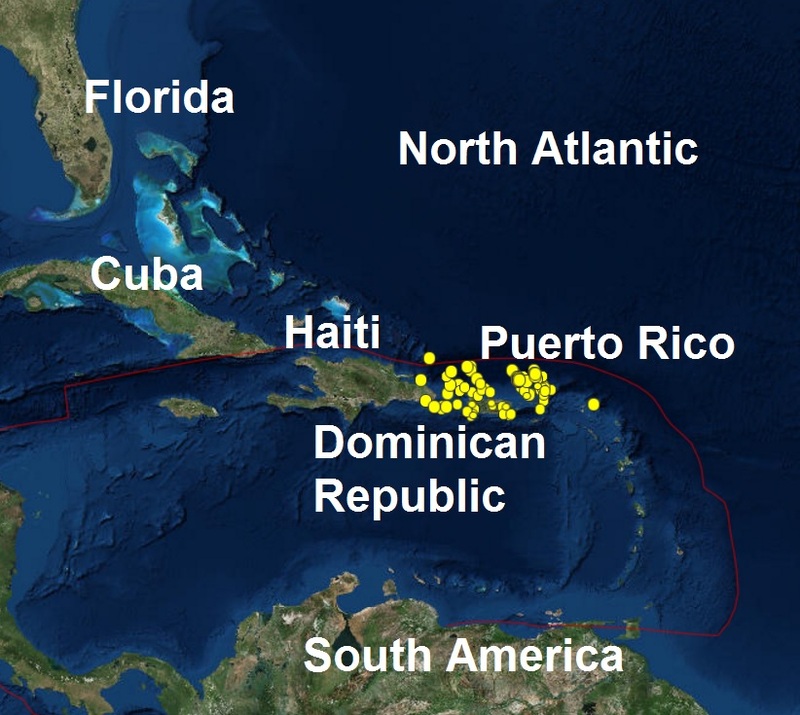 A cluster of almost a hundred small to middle size quakes, the biggest being a mag 3.8, on and around Puerto Rico, is a major concern to geophysicists, as they believe the area may be due for a major event, the quakes have happened in the last 7 days. The United States government has been studying the problem for years. It is increasing its seismic investigations and developing tsunami warning systems and the Puerto Rican Seismic Society has been trying to warn their people through the media. In 2010 a mag 7 struck Puerto Rico neighbour Haiti, killing an estimated 160,000 people with a further estimated 3, million people displaced and the Haiti government claimed around 300,000 buildings destroyed or severely damaged. South America and the Gulf of Mexico. According to Wikipedea, knowledge of the earthquake and tsunami risks has not been widespread among the general public of the islands located near the trench. Since 1988, the Puerto Rican Seismic Society has been trying to use the Puerto Rican media to inform people about a future earthquake that could result in a catastrophic tragedy. 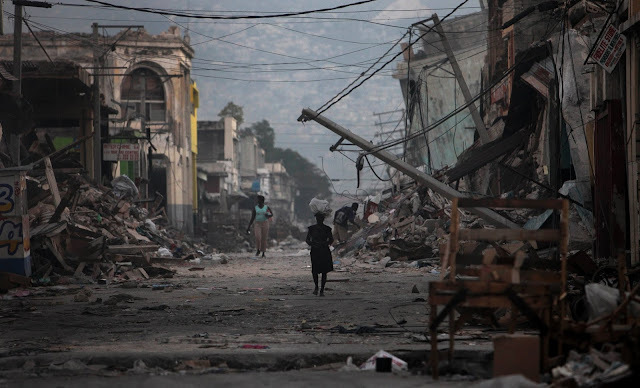 Following the 2004 tsunami that affected more than forty countries in the Indian Ocean, many more people now fear the consequences that such an event would bring to the Caribbean. Local governments have begun emergency planning. In the case of Puerto Rico and the U.S. Virgin Islands, the United States government has been studying the problem for years. It is increasing its seismic investigations and developing tsunami warning systems. The 1918 earthquake was caused by an old left-lateral strike-slip fault near the Mona Passage. In 1953, Santo Domingo, Dominican Republic, was affected by the Santo Domingo earthquake. The actual subduction zone (Puerto Rico Trench) has not ruptured in over 200 years, which is a major concern to geophysicists, as they believe it may be due for a major event. Puerto Rico has always been an area of concern to earthquake experts because, apart from the 1918 episode, there are frequent tremors in and around the island, indicating activity.